We no longer raise pigs here at Pinkguitarfarm to sell to the public. 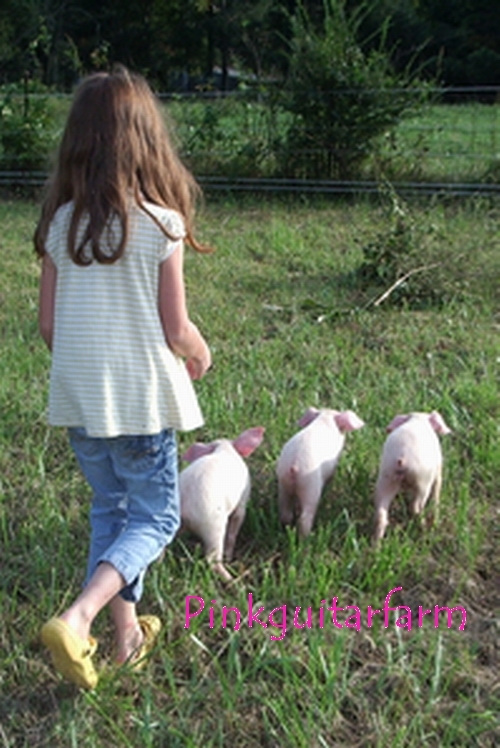 If you are interested in learning more about raising pigs check out this link. Hi – I met you last year at the Fairview Farmers’ Market. I am going to be acquiring some Berkshire sows and I am looking to cross breed them to a Red Wattle boar. Do you have a boar and do you “rent him out” for breeding? If so, what do you charge?